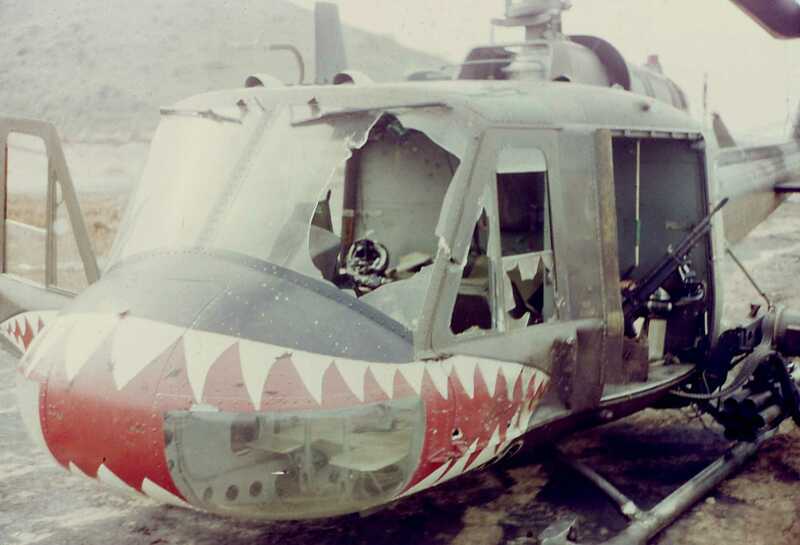 According to research by The Vietnam Helicopter Pilots Association there were about 12,000 helicopters that served in the Vietnam War (specific tail numbers for 11,827 from all services), out of which 5,086 were destroyed. Bell Helicopter built 10,005 Hueys from 1957 to 1975. Prior to 1957, there were three XH-40 prototypes and six YH-40 test helicopters manufactured. HU-1B. 9,216 of these went to the U.S. Army, 79 to the U.S. Air Force, 42 to the U.S. Navy, and 127 to the U.S. Marine Corps. The rest went to other countries. Records show that 7,013 Hueys served in the Vietnam War. Almost all were Army. Total helicopter pilots killed in the Vietnam War was 2,202. Total non-pilot crew members was 2704. Based on a databasefrom the Pentagon, we estimate that over 40,000 helicopter pilots served in the Vietnam War. To help in understanding the above numbers, the first 80 Hueys are missing a letter for some unknown reason. UH-1Ds were upgraded to UH-1Hs. That is why you see a higher percent of losses for UH-1Ds. They were destroyed before they were upgraded to Hs. They were both used as slicks so they should be counted together when making any conclusions. UH-1Bs were upgraded to UH-1Cs then to UH-1Ms. Most of the UH-1Bs and nearly all of the UH-1Cs were used as gunships. The UH-1E, F, L, N and P were typically non-Army. 2,709 people were killed while in Hueys. Army UH-1’s totaled 7,531,955 flight hours in the Vietnam War between October 1966 and the end of 1975. It is my opinion that the Huey including the Huey Cobra (AH-1G) which had 1,038,969 flight hours in Vietnam, have more combat flight time than any other aircraft in the history of warfare. All of the Army’s Vietnam era helicopters had Indian names except for the Cobra. The UH-1 was officially designated the Iroquois. It was the first turbine power aircraft purchased by the Army and had the largest numbers produced of any helicopter for that era (this may still be true). It started out as the civilian model 204 and was designated XH-40 when the first three prototypes were ordered. The first of these was flown by Floyd Carlson at Fort Worth on 22 October 1956. Before this first flight, a service test batch of six YH-40s had been ordered and these were delivered by August 1958. When the H-40 was ordered into production, it was redesignated HU-1A in the Army category for utility helicopters and officially named the Iroquois. The HU designation gave rise to the “Huey” nickname for the type. The first of nine pre-production HU-1As were made on June 30, 1959. In 1962, the Iroquois became the H-1 in the new tri-service designation system which changed the HU-1A and HU-1B to UH-1A and UH-1B. The following list was done recently for a museum. Please note: These numbers were compiled at different times with different conditions; therefore, there are some discrepancies between the two sets.